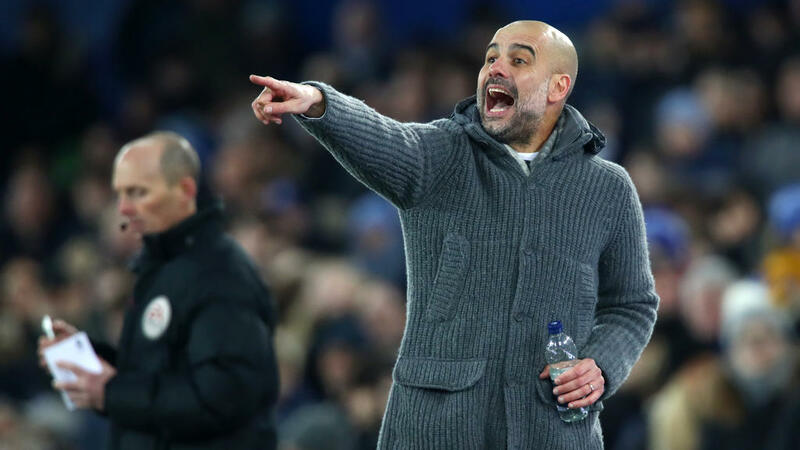 Manchester City manager Pep Guardiola does not believe Liverpool's recent stumbles in the title race have been the result of mounting pressure applied by his side. Aymeric Laporte got City's opener against Everton, but the French centre-back has had to deputise at left-back in recent matches because of Benjamin Mendy's continued absence with a knee injury. "He's injured, it's not easy, meniscus," said Guardiola. "He needs to re-adapt, it's not that if you start training in two days you are fit, he has to handle the effort we are putting on him - he has to be careful."